Plenty of voters will be wishing they had more of a choice when they vote in the federal election on Saturday, May 18. Let’s be perfectly clear about this: when we say the two major parties stink it’s a comment on their head offices and not on individual MPs or candidates. There are still plenty of good people who sign on for either Labor or the Liberals. But their political organisations have become so cynical the time has come to give them both a kick up the backside. Now the political game is only about who gets their hands on the spoils of victory. Years ago former Prime Minister Paul Keating said that if you change the government you change the country. I am not sure that is still the case. 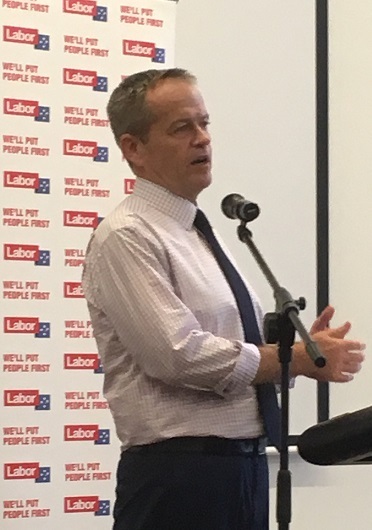 Sure, Labor in this election is talking about a good old fashioned redistribution – take from the well off and put it in services used by the less well off. The Liberal Government, by any measure a backward looking mob of Luddites, is almost begging voters to leave them in charge for three more years. I don’t know about you, but neither option has me thrilled to bits. Can you imagine having to endure Bill Shorten as Prime Minister for that long – not that Scott Morrison is any better. While Shorten’s vocal delivery threatens to put us all to sleep, Morrison’s cranky demeanour pulls us up to attention quick smart. So, sorry folks, but that’s it, that’s the only choice we have, which really is no choice at all. We no longer even have a third party just to “keep the bastards honest’’ like Don Chipp’s Australian Democrats did for a couple of decades. Luckily we may have something better in local candidates here in the South West Sydney seats of Macarthur, Hume and Werriwa. But really, the best thing that can be said about this election is that the campaign period is barely longer than a month and it will be over quicker than you can say pork barrel.